How to find THE Font for YOUR Logo? I have chatted with customers and fellow designers recently and I found out that both think finding a suitable font is kind of magic or mystery. I can assure you: it isn’t. The process doing a logo is sometimes quite long, depending on my ideas or on mismatch of my ideas with the customer’s ideas or technical issues or … whateva. Today I will show you how I usually find a font for a logo. Usually the final font is the result of a matter of taste … the taste of YOU – my customer. The whole process starts with a nice chat. When I am lucky and know my customer for quite a while that chat has happened many times before. If we meet for the first time – well time to get to know each other. This chat is the most important part of the whole process. I need to get a feeling for you, your ideas, your wishes, your brand, and your product! I will have a look at some of your products to make myself more aquatinted with your industry. After this chat I sit down with a piece of paper and do a little brainstorming. I try to find keywords for your brand and you. It is kind of SEO for logo. The keywords contain your wishes and my ideas. 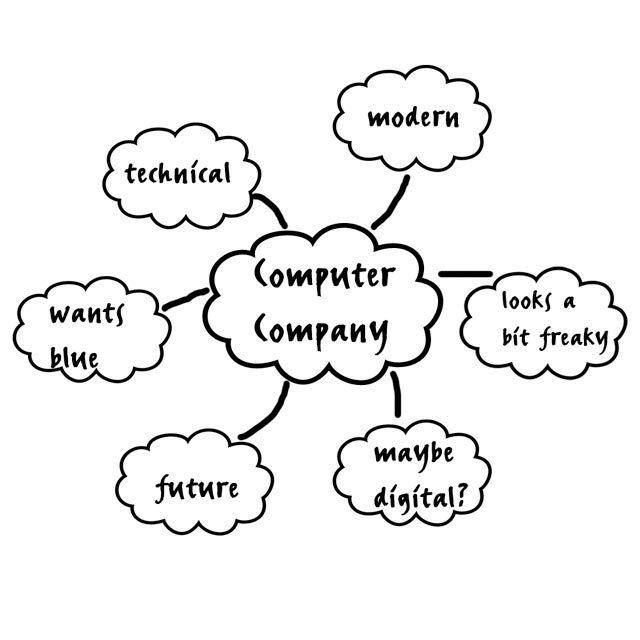 I have set up imaginary tag clouds for a computer company and a flower shop. At this point of the process I jump over to MyFonts. 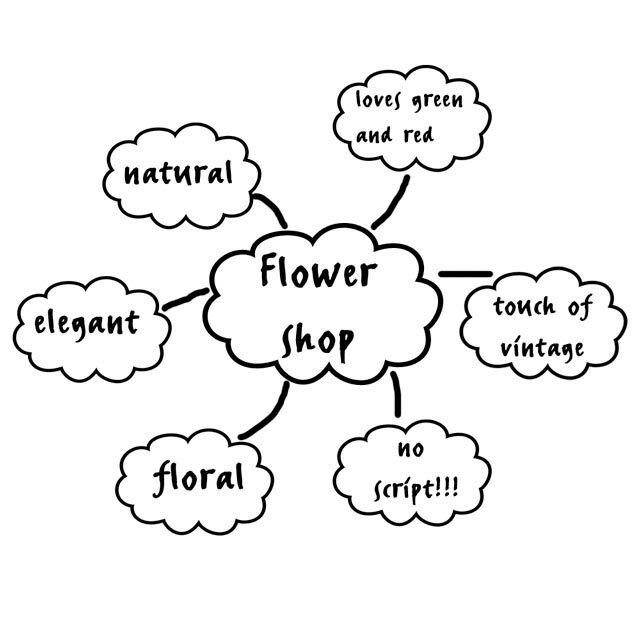 They have a fantastic tag collection, you can search their tags but you can also add your own and you can add multiple tags like: elegant + floral + natural + vintage for the flower shop. My major keywords are technical and modern, so I will start with them. I add technical, future and freaky and: nothing. 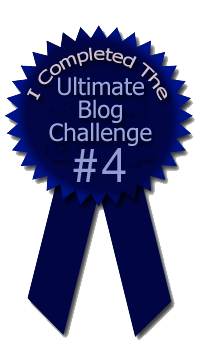 I guess I will reduce my tags a bit. Modern + technical + future = Kyrial Sans Pro. I think this result is nice, but leaves me to few options. 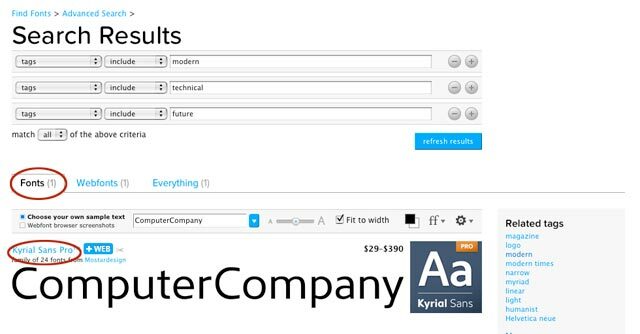 When I take future out, MyFonts offers me 337 options for modern and technical. I won’t suggest all 337 for my customer. 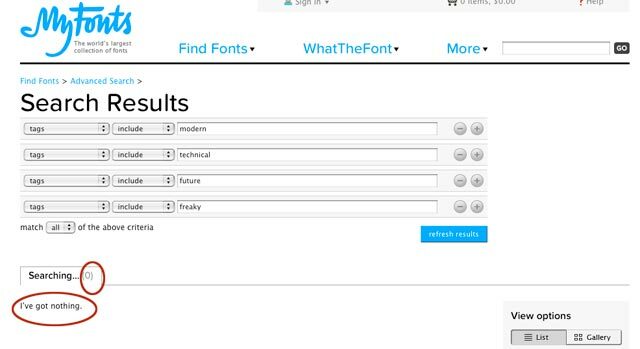 I just hover over the suggestions and compare them with my font library. And I watch the name in the very font carefully … just like waiting for the ring of a bell. Finally I find about 8–10 fonts which I think match with the logo idea. Some fonts can be used as corporate typeface too. Eurostile – can be corporate too, but customer can mix it with Times. FranklinGothic – the light version might be a good corporate typeface too. Borda – nice idea – would twin it with Calibri or Arial or Times, depending on the fonts my customer has on his computer. Vow – a pretty extraordinary font. Matches the freaky idea of my customer. At this point I hope so much that he will chose Vow. Elegant + natural + vintage = 28 results. Dundee … to me not so appealing for a flower shop. Medalist … maybe I can persuade my customer? Na better not! Reducing tags. I think natural and vintage are the most important tags in this case. Makes 52 results! Maybe something very decent like Erasmus! … a very elegant font, but meets all the other important tags too. I will never present just one font to the customer. This would be my decision not his/her decision. But I always present a collection of fonts I have already stored on my harddisk. So you can be sure that you will get the font you like. Usually I set up the name of the company in the fonts I think matching best the keywords for that brand. I keep in mind the corporate typeface that will be used for letterhead and business cards. I have to keep in mind the variety of fonts my customer owns. Some have just the fonts that come along with windows, others are font junkies just like me and have nearly any available font. I like to present the fonts with the colors my customer likes or set it up on a picture they want to use with the logo … there are many possibilities. When we first designed our logo, there were no computer lists to use. We struggled to have it match our mission and vision. And, chose a font (no longer available), then met our needs- and conveyed our message- for over a quarter century. (Our company was destined to cease operating after 25 years; we actually extended it twice. Now, it is in name only). We have done the same for our clients and our spin-offs. But, now, I’ll recommend we use this source as an additional resource. Thanks for the share. i have to admit, that i am happy for todays possibilities but i admire the people who have been in my profession 30 or 50 years ago … they need to know the art totally differently!